Enterprise search is the practice of identifying and enabling content across the entire organization to be indexed, searched, and displayed to authorized users. Optimized search is the key which allows users to locate exact information what they are looking for. Optimized enterprise search allows your employees and customers to locate the information they need quickly and easily. 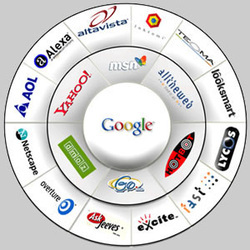 enabling and optimizing search in content management and knowledge base systems, web portals, and websites. To learn more, please call us at (650-474-0955.